Apple today seeded the first beta of an upcoming tvOS 10.1 update to developers for testing purposes, one week after releasing the tvOS 10.0.1 update and more than a month after launching tvOS 10. 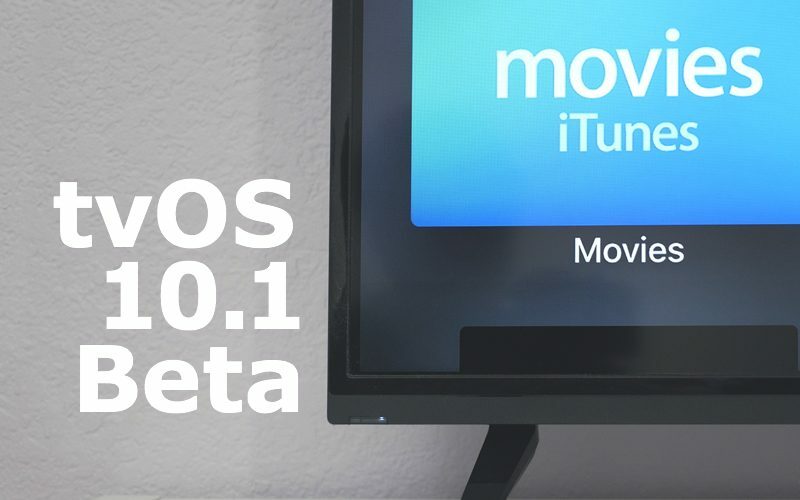 Designed for the fourth-generation Apple TV, the tvOS 10.1 beta can be obtained by connecting the Apple TV to a computer with a USB-C to USB-A cable, downloading and installing the software from a registered developer account via iTunes or Apple Configurator. It is not yet clear what new features or changes might be included in the tvOS 10.1 update, but many Apple TV owners are eagerly awaiting a new single sign-on feature that will allow Apple TV users to sign in once with their cable credentials to access live cable content included in a cable subscription. Single sign-on was not introduced in the initial tvOS 10 release, and Apple has said it will come in a future update. We are also expecting to see the new "TV" app soon. tvOS 10, for those unfamiliar with the operating system, brings features like improved search, expanded Siri capabilities, a dark mode, a Continuity option for using the iPhone for text input, automatic app downloads, quicker access to live TV, and more. Wow, why does Apple even bother mentioning features like single sign on if they can't deliver after this long? Heh. SSO wasn't ready for the Apple TV launch, Portrait Mode wasn't ready for the iPhone 7 Plus launch, and AirPods (which should have been ready for the iPhone 7 launch since you're removing the jack) are still delayed. They're having a problem with deadlines for sure. Only started with tvOS 10. Everything in the house works perfect. The ATV is 10 feet from the router and never had a problem before the update. I have an awesome ubiquiti network with everything working at top speed except for the ATV since the upgrade. I never drop the network on any other device. It only happens when I use the Siri on the remote. Never while streaming anything. I did a clean install also and no help. I think I will do a hard line connection and see if that fixes it. There are all kinds of network issues that can manifest in weird ways. As an IT Professional I've heard my fair share of statements like yours, about 'how great' your network is. Everyone thinks it can't possibly be their network. It almost always is. But do check to see if your Siri remote firmware is up to date. Try testing Siri from your iPhone with the AppleTV app. If the request still fails, its network related. The word is they're having trouble getting the major cable companies to agree to it, which is why they currently only saying "DIRECTV, DISH Network and more" will have it. Does ATSC mean Always The Same Color in the same way that NTSC meant Never The Same Color? That sounds like a weak/noisy wifi network to me. Never seen this. What makes you think that is an inherent problem with tvOS and not directly related to your network?